Arlington, Virginia, USA - January 09, 2011 - More than 2,700 technology companies across global industries dazzled attendees at the 2011 International CES, with the ground-breaking event energizing the technology world. 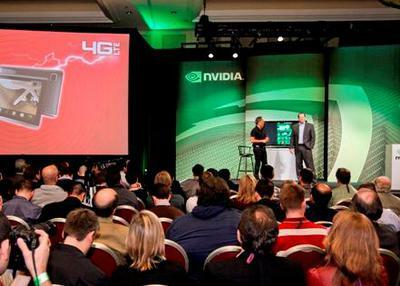 The 2011 CES set several new records, including 30,000 international attendees and 22 top CEOs participating in keynotes. 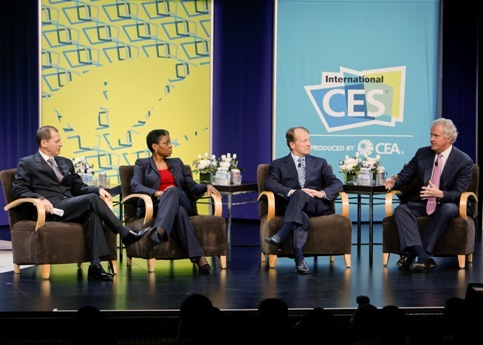 Cisco CEO John Chambers, GE Chairman, CEO Jeffrey Immelt and Xerox Chairman and CEO Ursula Burns join the 2011 International CES keynote line up as participants in the Innovation Power Panel. 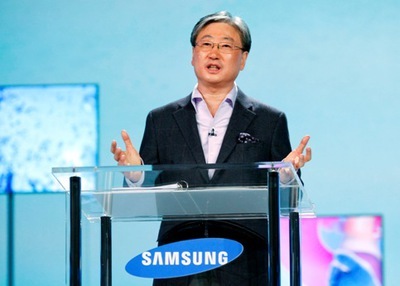 The 2011 CES set several new records, including 30,000 international attendees and 22 top CEOs participating in keynotes. Attendees view exhibits in the Central Hall of the 2011 International CES. Owned and produced by the Consumer Electronics Association (CEA)®, the 2011 CES, the world’s largest consumer technology tradeshow, concluded today in Las Vegas. CEA President and CEO, Gary Shapiro signs copies of his book "The Comeback: How Innovation Will Restore the American Dream." 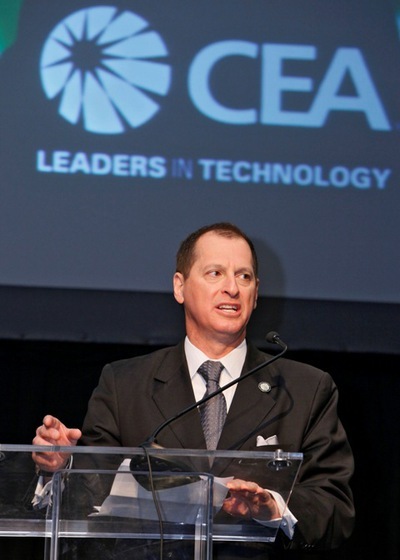 "The 2011 International CES was a phenomenal worldwide event that spanned global industries including technology, automotive and entertainment markets," said Gary Shapiro, president and CEO, CEA. "This global technology gathering featured more innovation, more news, more social media buzz and more international attendance than any other show in CES history." Highlights from Wednesday's press conferences at the 2011 International CES. 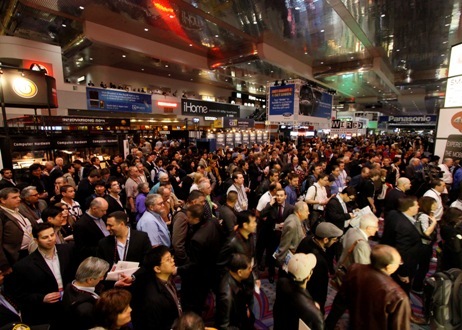 Preliminary attendance figures indicate more than 140,000 industry professionals attended the 2011 International CES. Highlights from CES Unveiled: the Official Press Event for the 2011 International CES. More than 30,000 attendees came from outside the United States, with the show attracting more than 80 international delegations. 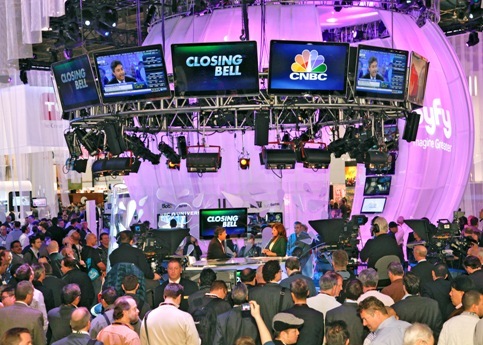 Attendees rush into the Central Hall from the Grand Lobby at the 2011 International CES. CEA conducts an independent audit of attendance at the International CES and final verified figures will be available in the spring. Major technology trends emerged from the CES show floor including the launch of more than 80 tablets, wireless 4G LTE, connected TV technologies, smart appliances – featured for the first time in show history – and electric vehicles. 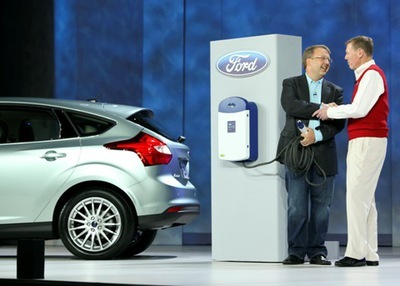 Highlights from Ford's keynote address at the 2011 International CES. Ford’s Alan Mulally unveiled the company’s first electric car at the 2011 International CES with its Ford Focus Electric. 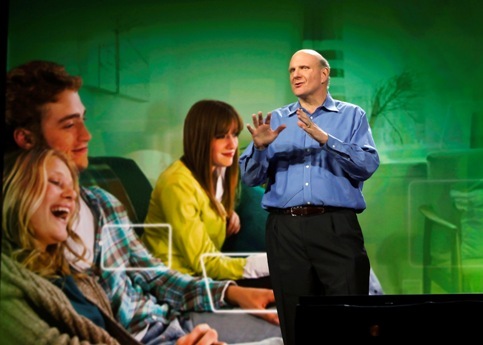 The 2011 CES brought top CEOs to the CES stage including Microsoft's Steve Ballmer. Highlights from Microsoft's keynote at the 2011 International CES. Photo: the 2011 International CES. 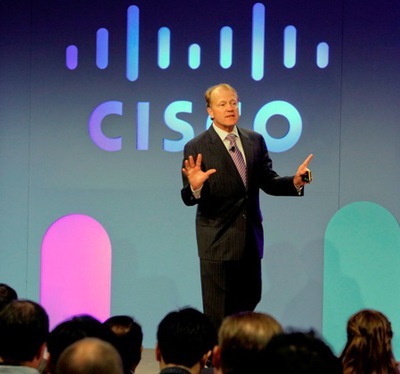 The 2011 CES brought top CEOs to the CES stage including Microsoft's Steve Ballmer, Verizon’s Ivan Seidenberg, Audi's Rupert Stadler, Samsung's Boo-Keun Yoon, Ford's Alan Mulally, Netflix's Reed Hastings, Cisco's John Chambers, Xerox's Ursula Burns and GE's Jeffrey Immelt. 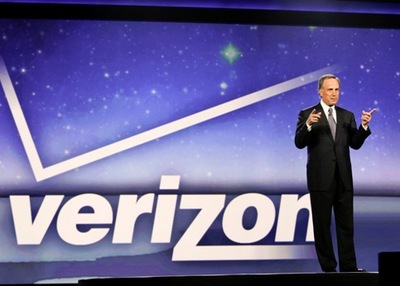 Highlights from Verizon's keynote at the 2011 International CES. These executives were joined onstage by leaders spanning various industries including Comcast's Brian Roberts, Time Warner Cable's Glenn Britt, Dreamworks Animation's Jeffrey Katzenberg and Hulu's Jason Kilar. The 2011 International CES conference program consisted of 250 sessions featuring 900 speakers. Highlights from Samsung's keynote address at the 2011 International CES. 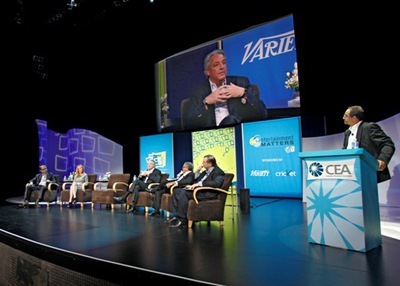 As the relationship between technology and the content community grows in significance, the 2011 CES featured a new program, Entertainment Matters, designed for the Hollywood community. 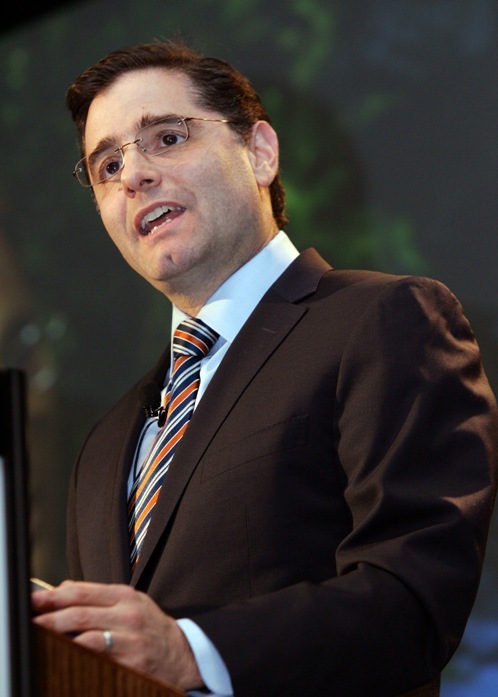 Highlights from the Entertainment Matters keynote panel at the 2011 International CES. As part of the program, the 2011 CES featured the first-ever Entertainment Matters keynote panel with leaders from Microsoft, Coca-Cola, Akamai Technologies, Interpublic Group and WPP. FCC Chairman Julius Genachowski and CEA President and CEO Gary Shapiro discuss developments in broadband, spectrum reform, competition policy and other issues impacting the consumer electronics industry in a one-on-one panel at the 2011 International CES. 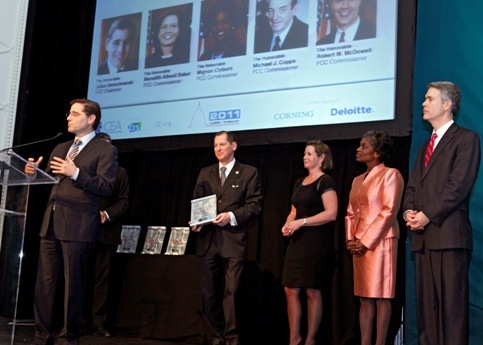 Highlights from the International CES Leaders in Technology Dinner. 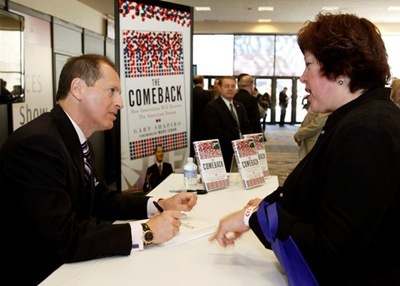 The 2011 CES created phenomenal buzz in the social media world with more than 158,000 CES-related tweets since Monday, January 3, and more than 11,000 page views on CEA's Digital Dialogue blog. 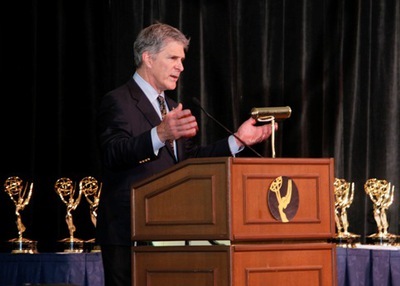 Highlights from the National Academy of Television Arts and Sciences' Tech & Engineering Emmy Awards at the 2011 International CES. SuperSession: “Got Game? 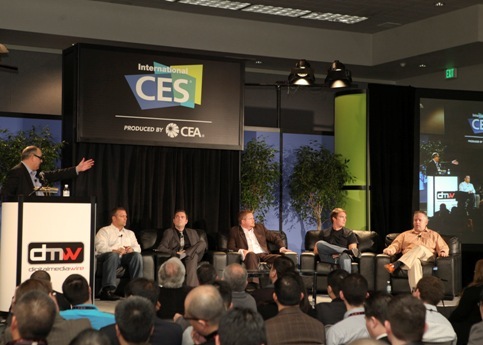 The State of the Games Industry: View from the Top” at the 2011 International CES. 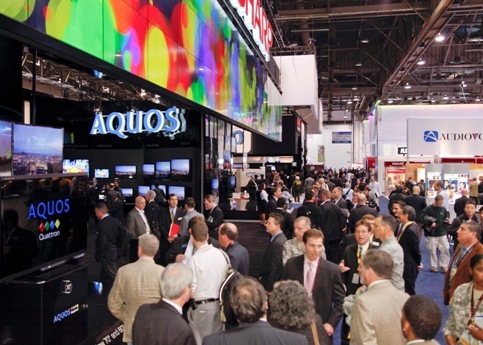 The International CES will return to Las Vegas next January 10-13, 2012. The Consumer Electronics Association (CEA) is the preeminent trade association promoting growth in the $186 billion U.S. consumer electronics industry. CEA also sponsors and manages the International CES – The Global Stage for Innovation. Find CEA online at CE.org.